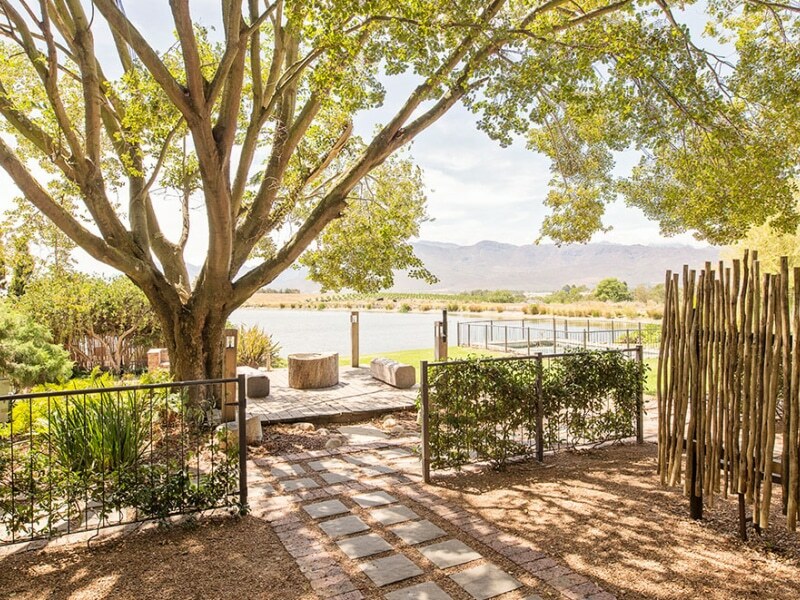 Waterside Stays’ five farm-style waterfront apartments provide a tranquil and convenient base from which to explore the splendour of the Winelands. 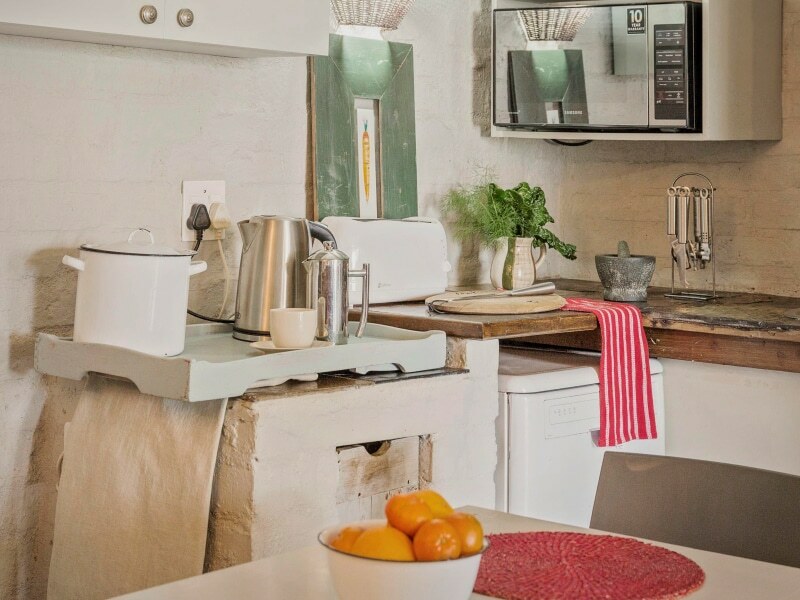 At Waterside Stays each of our self-catering farm-stay units boasts breathtaking waterside views. 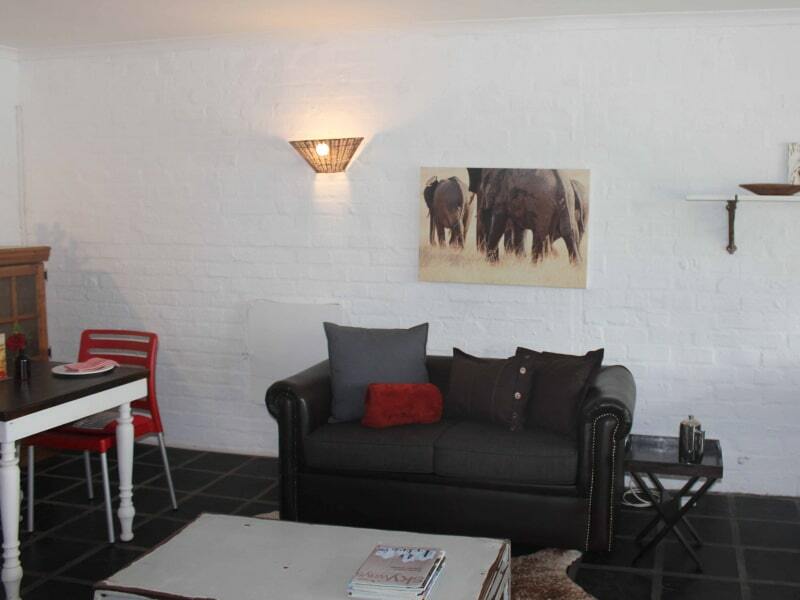 It offers access to our swimming pool, braai facilities, Wi-Fi, TVs with DSTV and onsite restaurant (daytime only). 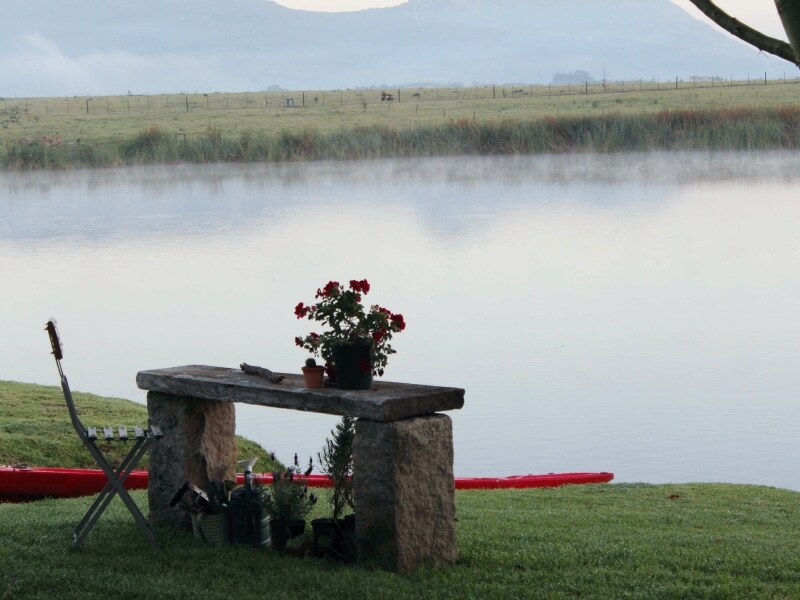 You can even paddle out in the rowboat and enjoy a spot of complementary fishing on our idyllic dam. Set apart from the other four units, this spacious upper-level studio features a stylish open-plan layout and lots of natural light. The private balcony overlooks our rose garden and catch-and-release dam. Both are set against the iconic backdrop of Paarl Rock. 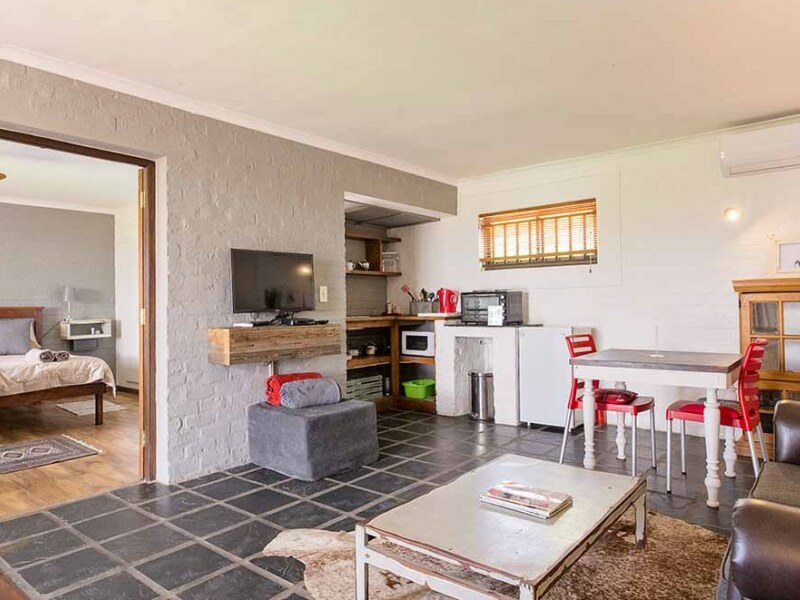 The unit sleeps three (one double bed and one single) and is equipped with a bathroom (all bathrooms have showers only), full DSTV, Wi-Fi, microwave, toaster, mini-fridge and kettle. Not to mention the sumptuous farm setting. 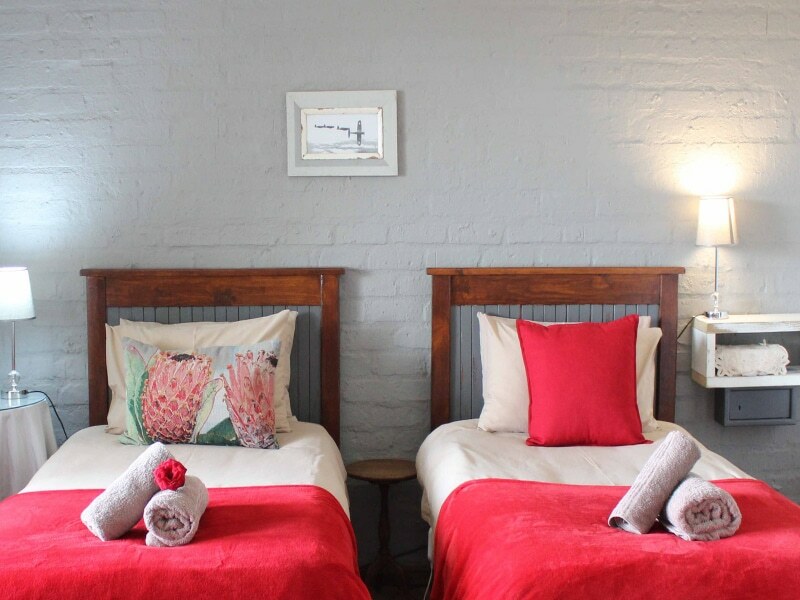 Winelands accommodation at its best. These adjoining ground-floor units can be rented separately (the interleading door is soundproof) or as one large family apartment. It sleeps up to seven people. 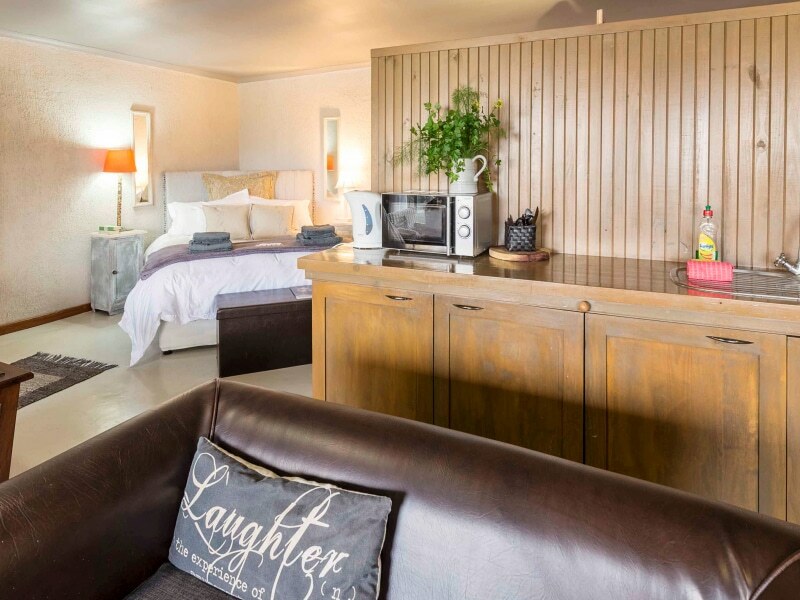 Both apartments feature an en-suite bathroom, living room (DSTV guesthouse bouquet) and kitchenette equipped with microwave, kettle, toaster and counter-top oven/stove. 1A has two single beds (can be made up as a Queen) and two fold-out beds in the living room. 1B boasts a double bed and a double sleeper couch. City sophistication meets country charm. 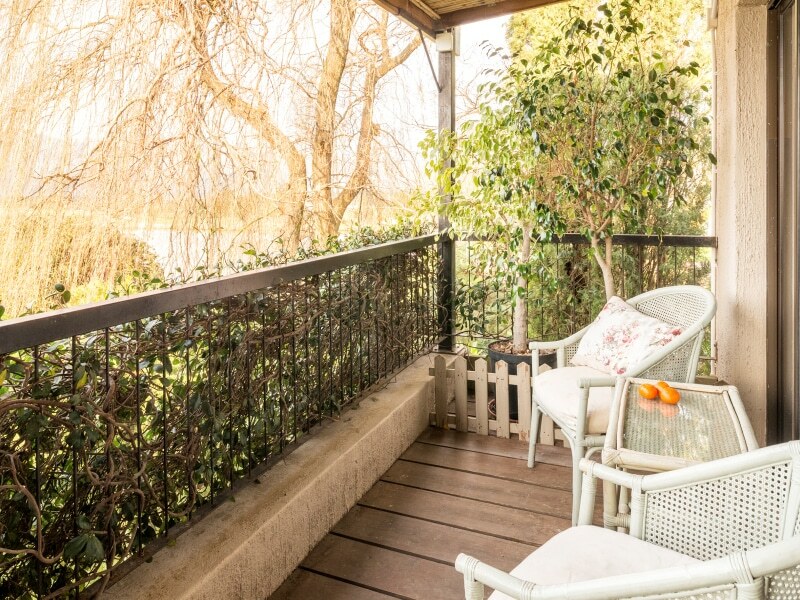 This beautifully-designed upper-level apartment features fantastic dam and mountain views – and an ample balcony from which to enjoy them. 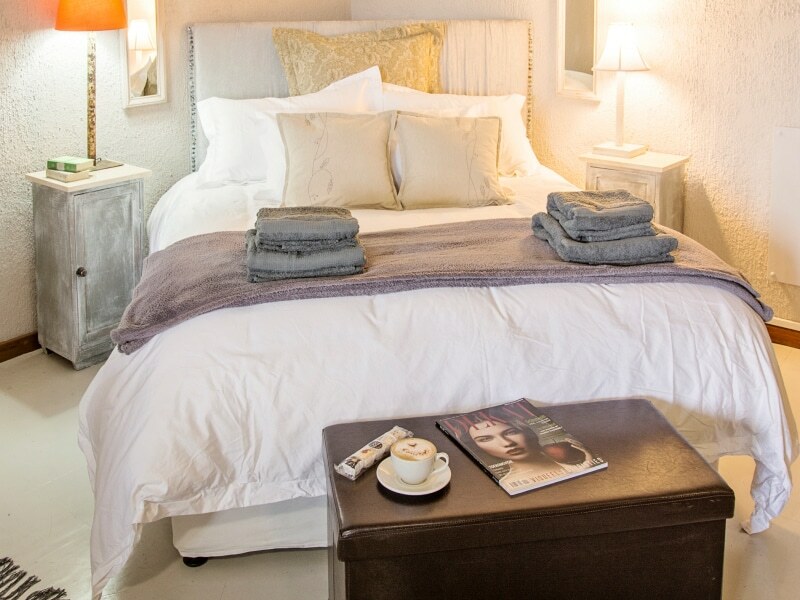 The main bedroom is furnished with two single beds which can also be made up as a Queen and has an en-suite bathroom. 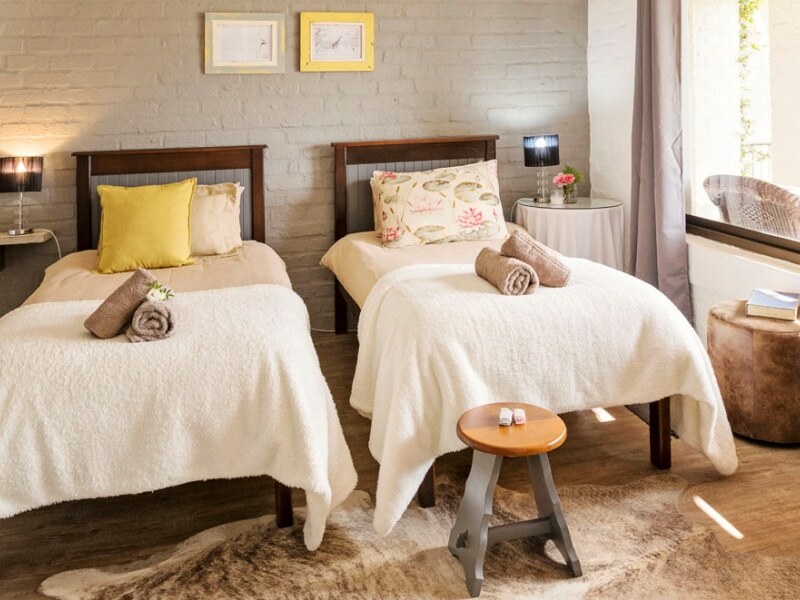 The spacious living room (DSTV guesthouse bouquet) and kitchenette (identical to those in Coot) can sleep one additional adult on a fold-out sleeper couch. 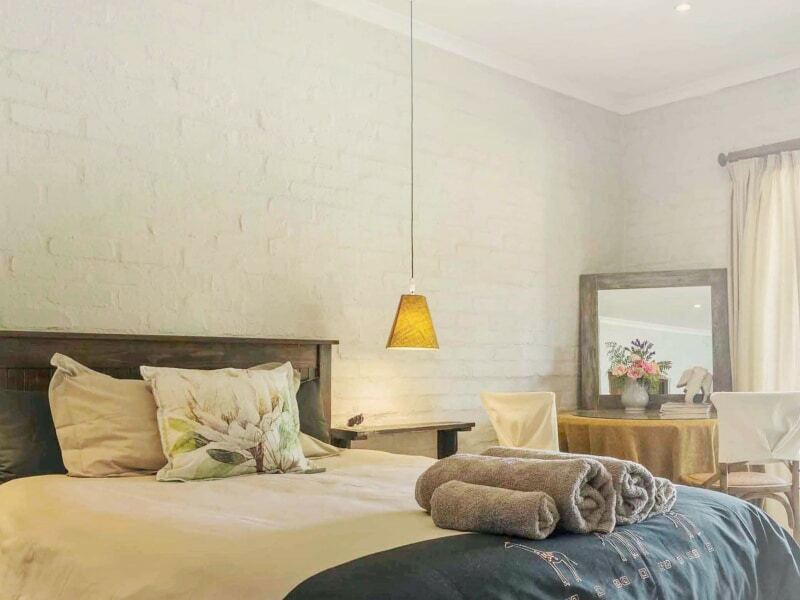 After a couple of nights in this gorgeous Winelands accommodation, you won’t want to leave. 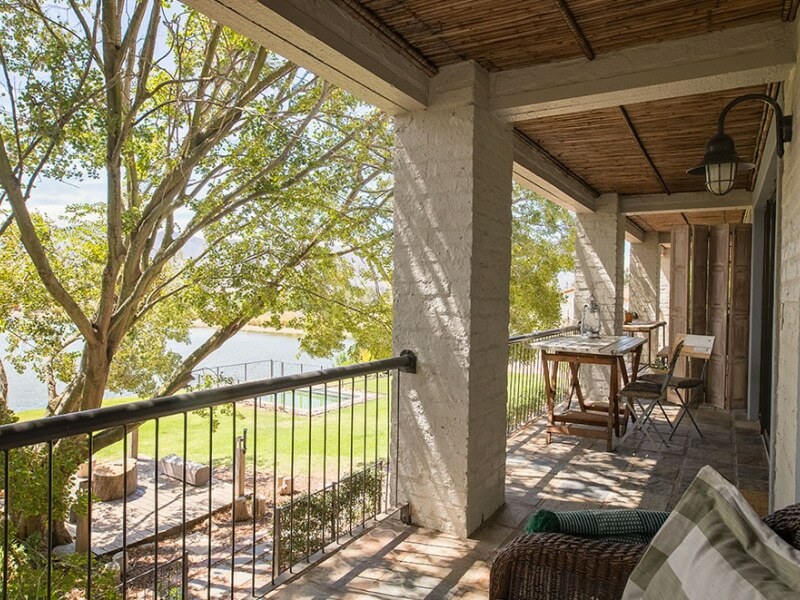 Sharing the upper storey with Fish Eagle, this apartment has the added bonus of being right next to a majestic white stinkwood that’s a favourite with owls. 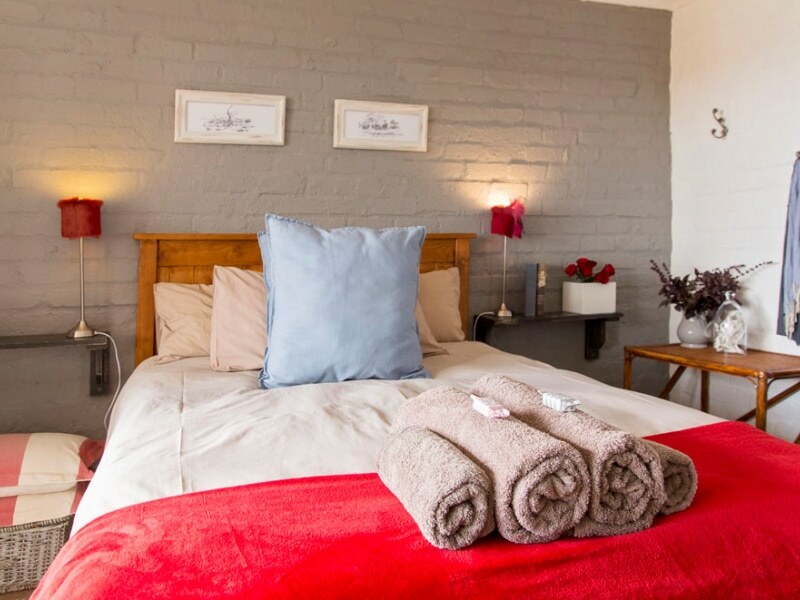 The main bedroom has a double bed and en-suite bathroom. 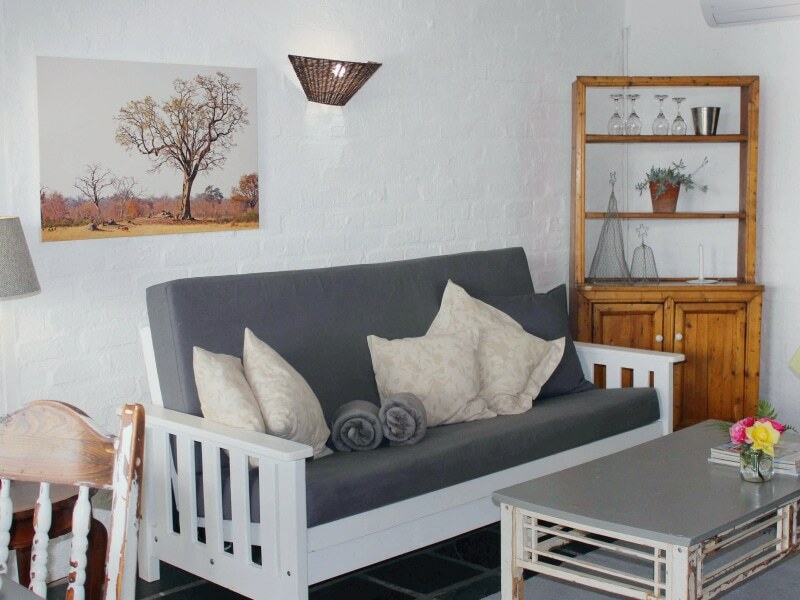 The generous living area and kitchenette (both identical to Fish Eagle) have room for one more on a comfortable couch bed. 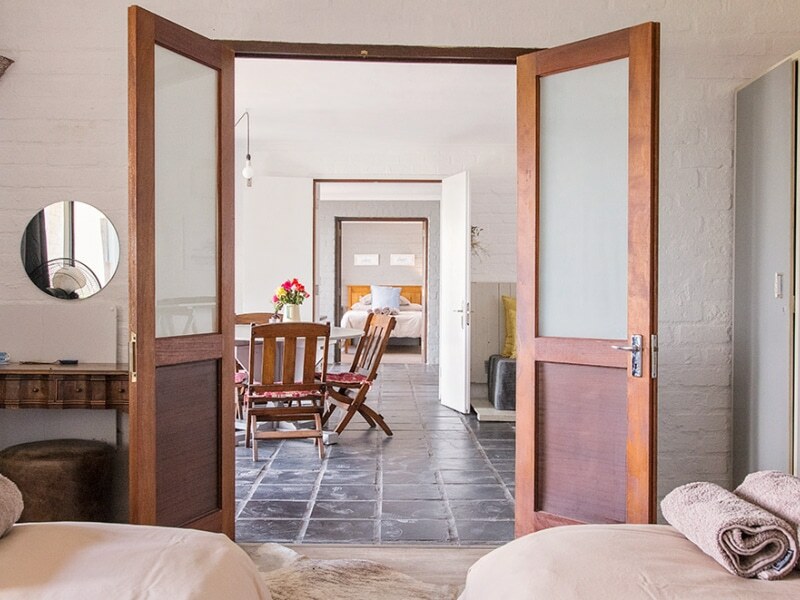 While there is no interleading door between the upstairs units, Owl and Fish Eagle are often rented by families who are travelling together looking for the perfect Winelands Accommodation. 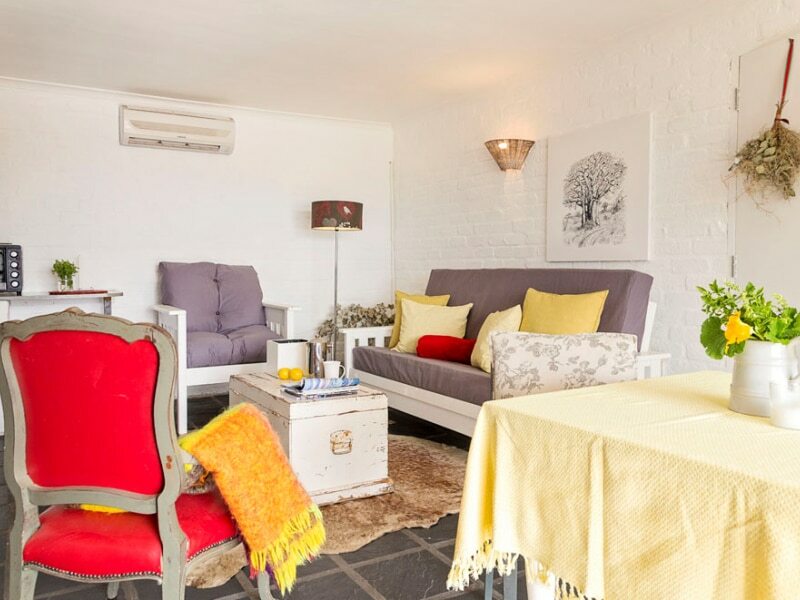 Get the best of both worlds with this comfortable pied-à-terre in the heart of a splendid winemaking valley. All rooms fitted with towels, soap and shampoo. Hairdryer and iron can be requested upon check-in. Pool available from 10 am till 6 pm. All rooms and verandahs non-smoking – designated smoking areas in the garden. Undercover parking for 1 vehicle per unit.